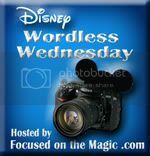 Let your imaginations go wild with pictures of wildlife, wild rides, wild people, wild outfits, walks on the wild side of Disney! I chose pictures from wildlife adventures we've had at Animal Kingdom this week. 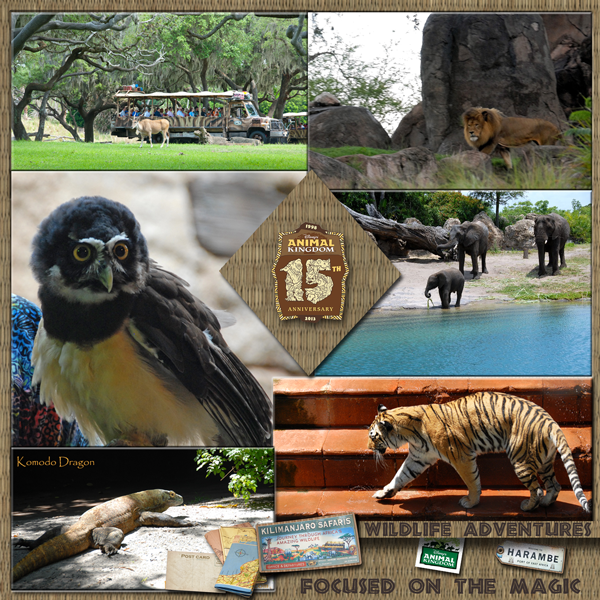 The celebration of Disney's Animal Kingdom's 15th Anniversary and Earth Day is still going strong and I cannot wait till May for our next great wildlife adventure! Beautiful collage! Love all the animals you featured here too. Lucky you to be visiting the park again. I really need to make my way there soon. Nice! I can't believe it's been 15 years already. I decided to post about the Jungle Cruise ride at Hong Kong Disneyland and I'm debuting a new Disney focused part of my site to show it off. Or should I say Magic focused? Either way I hope you like it! The way you have your pictures framed is breathtaking! It truly captures all the memories that are Animal Kingdom! Beautiful collage that is perfect for this special week. I hope you have a magical adventure in May when you head back. Stunning! Thanks so much for sharing today! Beautiful collage! Love the shot of the elephants, trying to figure out what the little guy is holding. Love the eyes on that bird, what a great capture. Thanks for sharing and for hosting again this week! Great collage! Thanks for hosting! Love this weeks theme! I have all ready posted tons of pictures of animals, so I decided to go with Wild Ride. Great theme this week Deb! And great pictures to go along with it :) That owl picture is so striking! I love the theme. I always enjoy looking at your pictures. Wild! :) Thanks for hosting the hop, Deb! Thanks for hosting!! One of these days we'll jump on early!! LOL! Great animal pics! Very envious that you got a shot of the Lion up and about!! Great shots! Love the elephants! I always love your collages - so beautiful!